Zombie Kids To Invade Cuba! « "TeresaBruceBooks"
Zombie Kids To Invade Cuba! 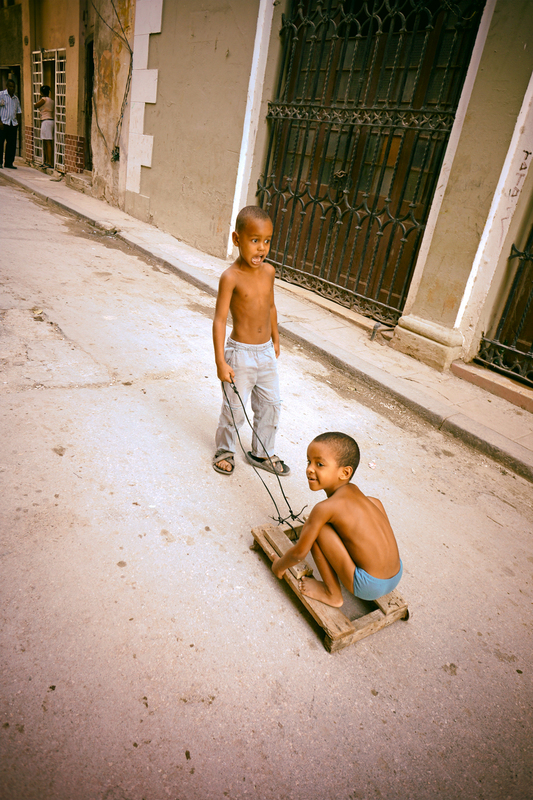 Visit Cuba today and you’ll find boys riding on homemade sleds, girls braiding each other’s hair in the plazas, teams playing handball in the cobblestone streets and teenagers thumbing through stall after stall of used books in the Plaza de Armas. 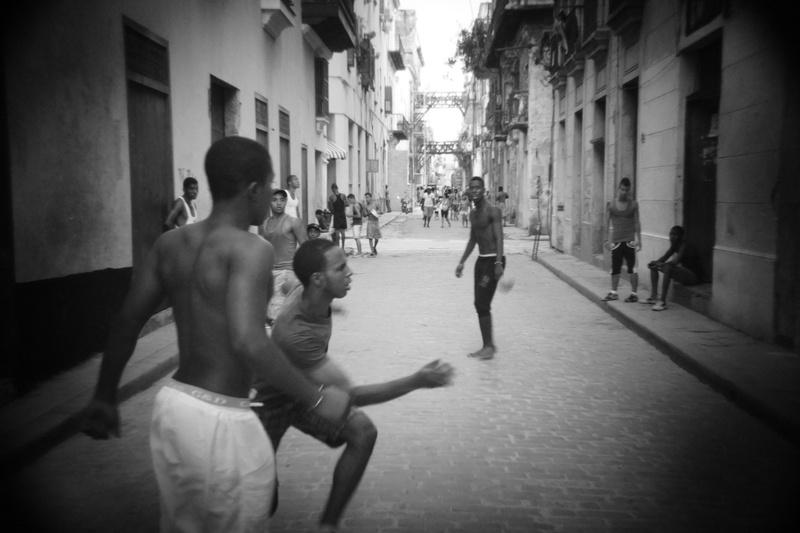 Imagine, instead, a Cuba filled with kids like ours — staring vacantly into devices, faces lit up in garish blue, thumbs flying, vicariously connecting with actual friends snap chatting back from the other side of a dance floor. It reminds me of a line from one of my favorite Cuban movies, “Juan de los Muertos,” when Juan faces an oncoming horde storming the Malecón.“Those aren’t Americans. They’re zombies!” Which is probably why one headline in the mainstream media’s coverage of this week’s détente negotiations in Havana gave me pause. Despite my nostalgia for face-to-face interaction, I understand the power and place of the Internet in the modern world. From the U.S. government standpoint, access will hasten the demise of the secretive Castro regime and young people connected to each other and the larger world via social media might well lead the charge. But it isn’t that simple. Access isn’t the same thing as affordability. Take the case of the young man I blogged about a few weeks ago. We met Alex in 2012, back when it seemed like U.S. policy involving Cuba would never change. Alex has a degree in English but the only job he can find involves convincing tourists that his uncle owns the Buena Vista Social Club and he can get them a good ticket. He wants to be a tour guide, thinks Raul Castro is awesome for allowing cell phones in Cuba and asks me how to build a website. But it all seems futile. Alex can’t begin to afford the $6 an hour it would take in an Internet café to build the website he hopes will provide a better future for his wife and baby girl. I couldn’t help thinking of Alex when I spotted that Wall Street Journal Headline. He needs Internet access but who will pay for his screen time, let alone a laptop or smart phone of his own? Even if access is truly free, will it guarantee a decent job for him? Cuba’s free education system hasn’t, not for Alex or any of the dozens of Cubans just like him that we met. Hotel clerks who speak five languages. Janitors with engineering diplomas. Street corner hustlers who can quote Shakespeare. Everyone has access to education in Cuba but not to opportunity.Yet somehow, even in the face of generations of isolation-driven poverty, education still has pull here. I credit Cuban parents for instilling discipline and hope in their kids when the economy can’t even support those with advanced degrees. Meeting Alex made me wonder, even before President Obama’s executive actions, how much longer Cuban kids will buy into the dream that education will set them free. If we handle the rapprochement with capitalist greed instead of genuine goodwill, the Internet will be just another dangled disappointment. This entry was posted in travel and tagged Cuba, Obama, travel, travel sanctions, U.S.-Cuba relations, Wall Street Journal. Mr. Obama, tear down that embassy in Havana!